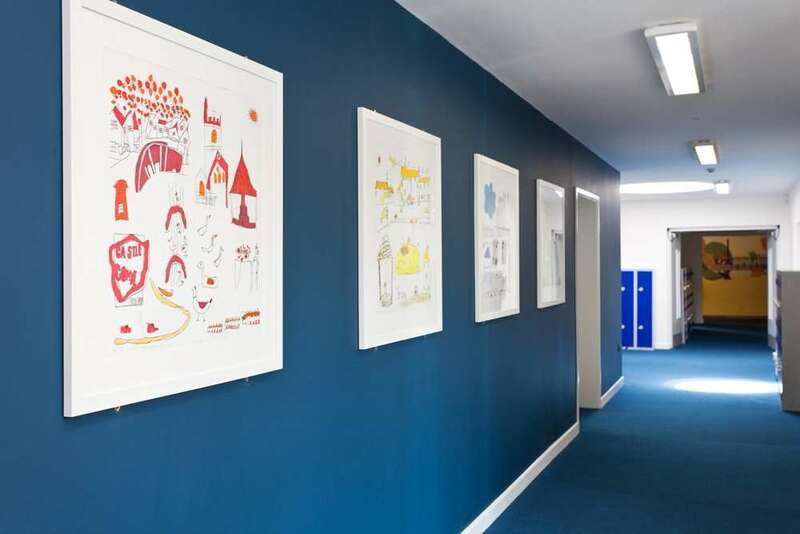 In 2014 CMS Group were approached by By Brook Valley Primary School in Wiltshire to develop an extension to their building that could embody the school’s approach to embedding a sustainable ethos within their curriculum. 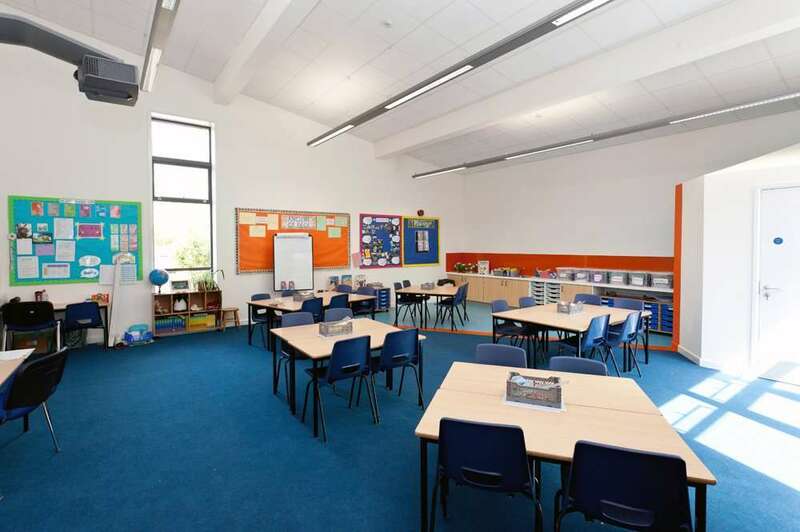 They wanted 2 classrooms that could act as a learning environment enabling pupils and teachers to engage with principles of environmentally conscious behaviour. 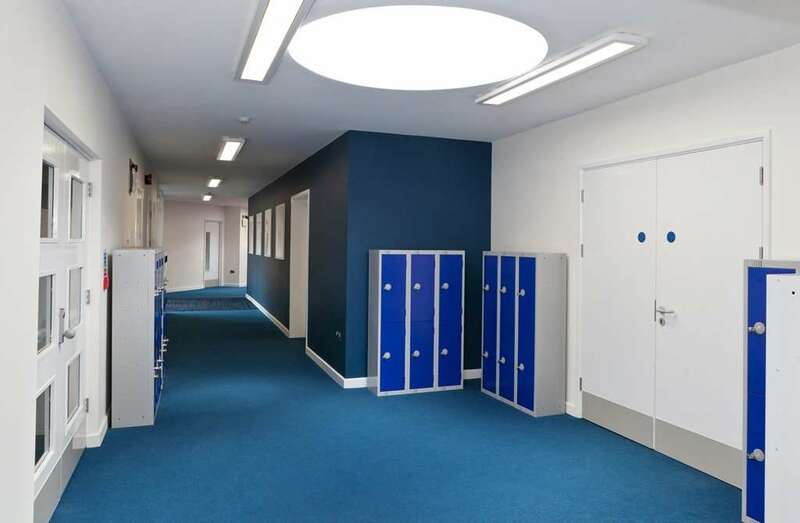 Central to the scheme’s success was the provision of an outdoor teaching area, surrounded by a newly formed Outdoor Wildlife Habitat, seamlessly integrating the concept of combining human and natural activities throughout the year. 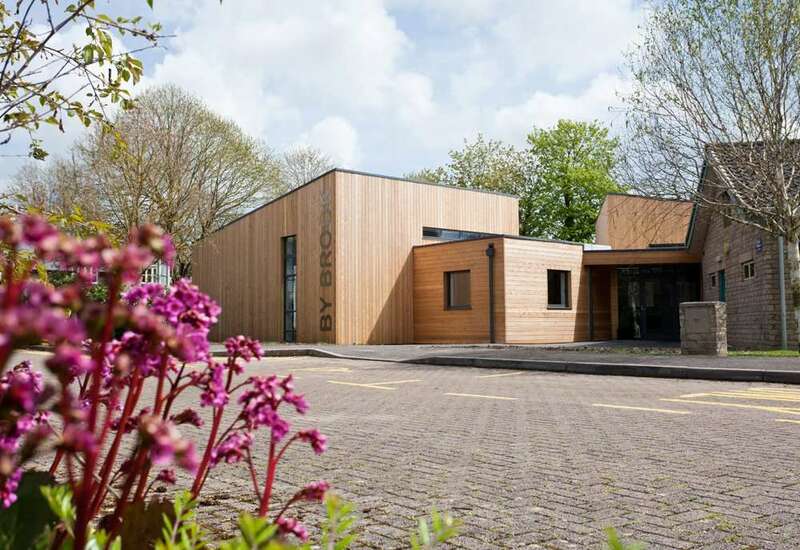 The building itself sought to use recycled materials such as plastic decking formed from plastic drinks bottles, and is clad in sustainably sourced larch. The internal spaces are naturally daylit and ventilated with clerestory windows and a passive ventilation strategy. 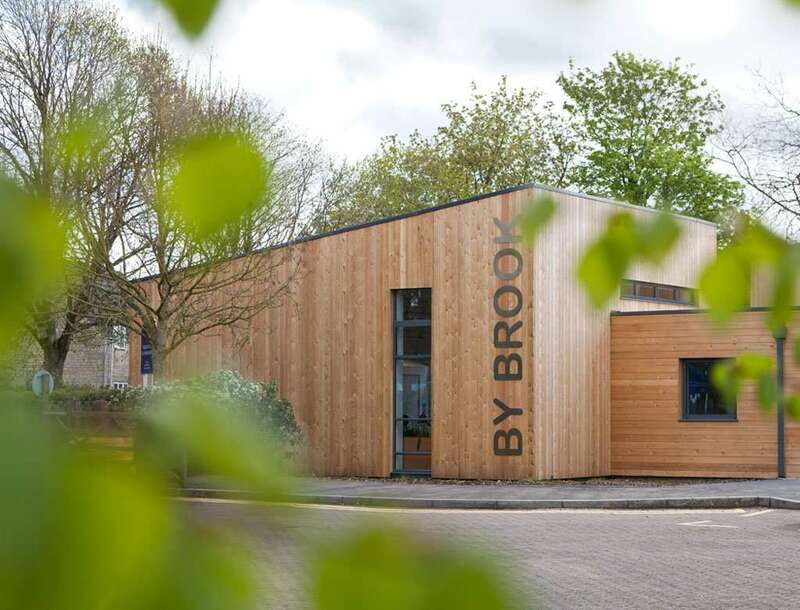 The original design included a living roof and breathable terracotta blocks, which unfortunately couldn’t meet the strict available build budget. 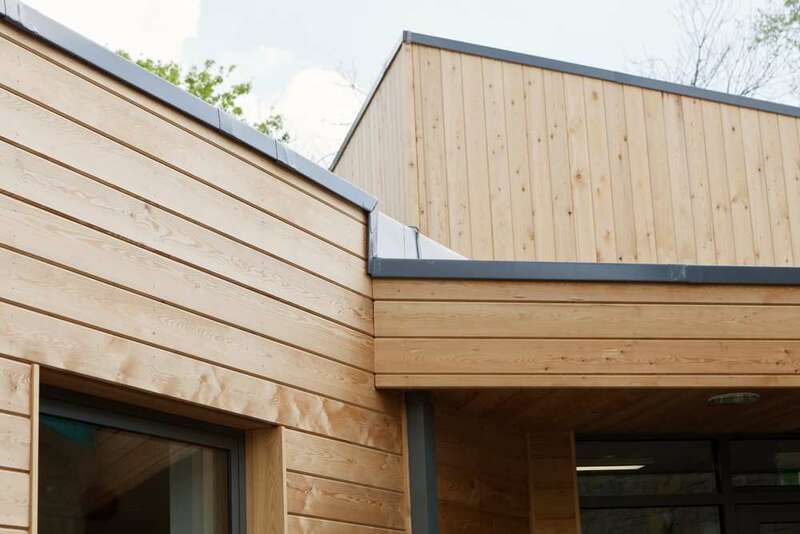 The design avoids bolt on sustainable measures through careful use of passive features such as orientation, glazing, natural daylight and ventilation, insulation levels and airtightness. 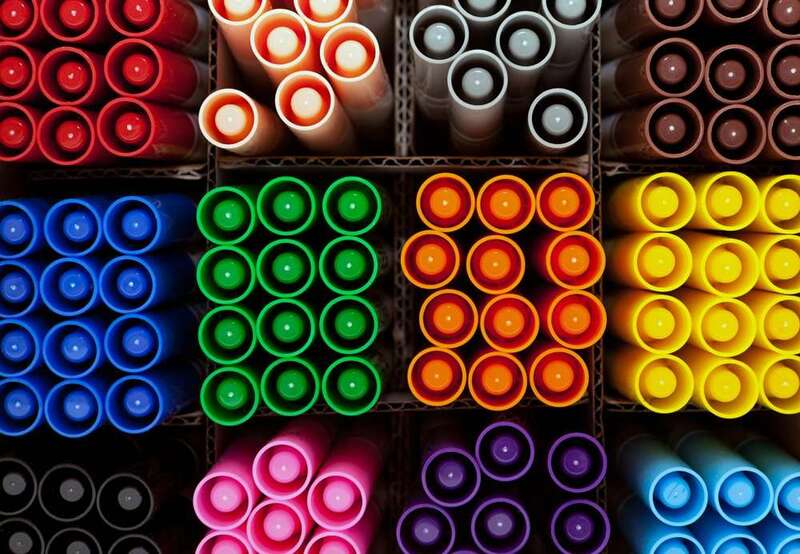 Simple technology like absence detection and underfloor heating contribute to the efficient running of the spaces. 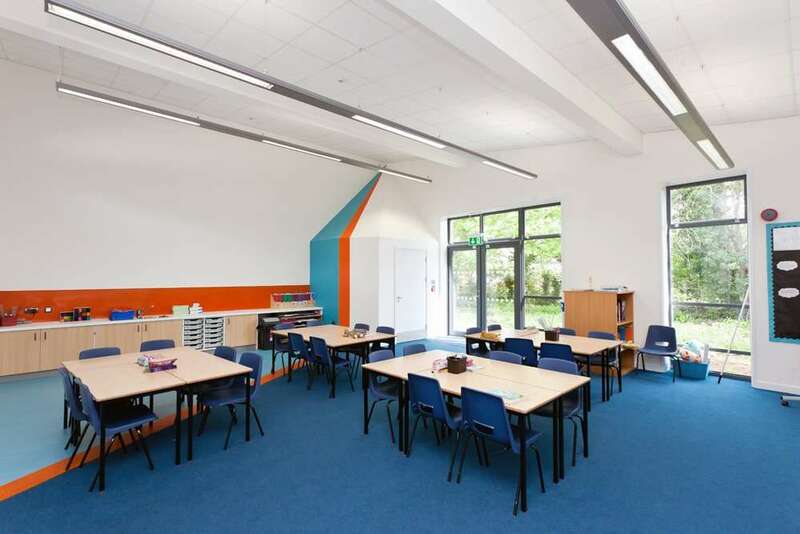 The scheme has created an immersive learning environment that helps the pupils to appreciate sustainable principles.